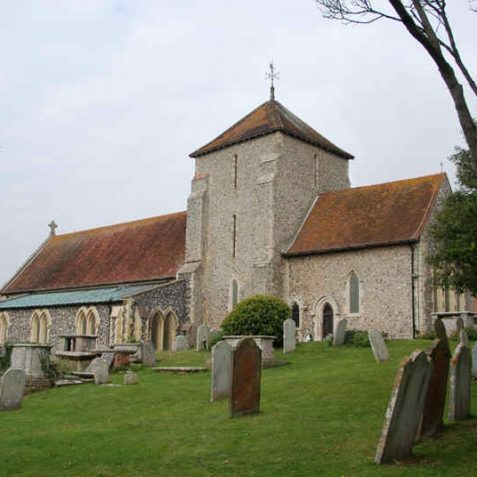 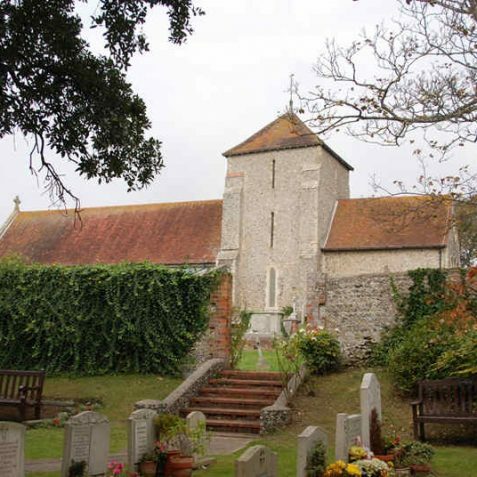 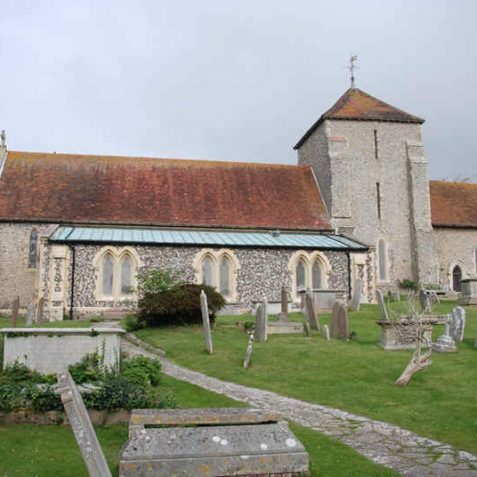 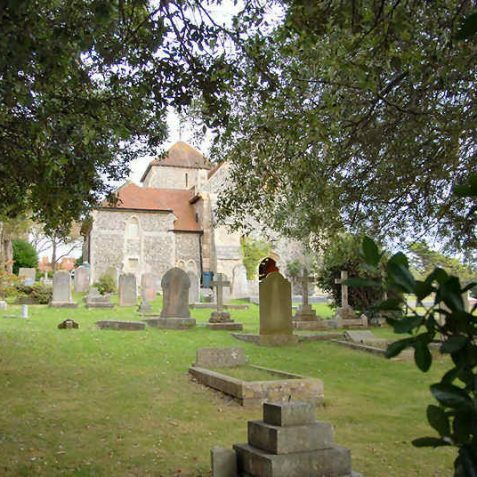 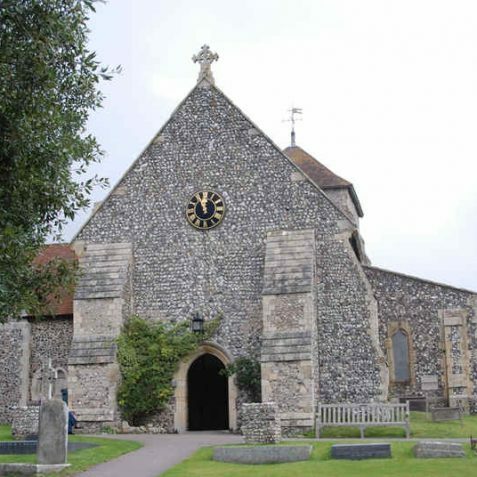 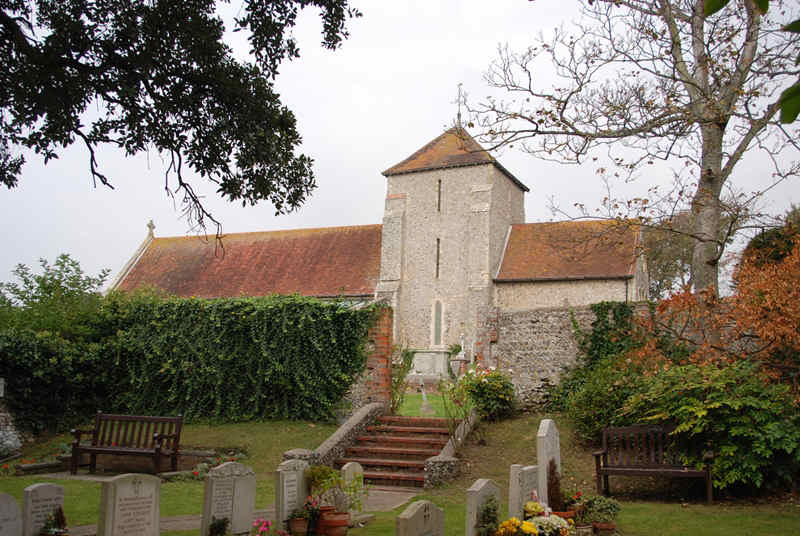 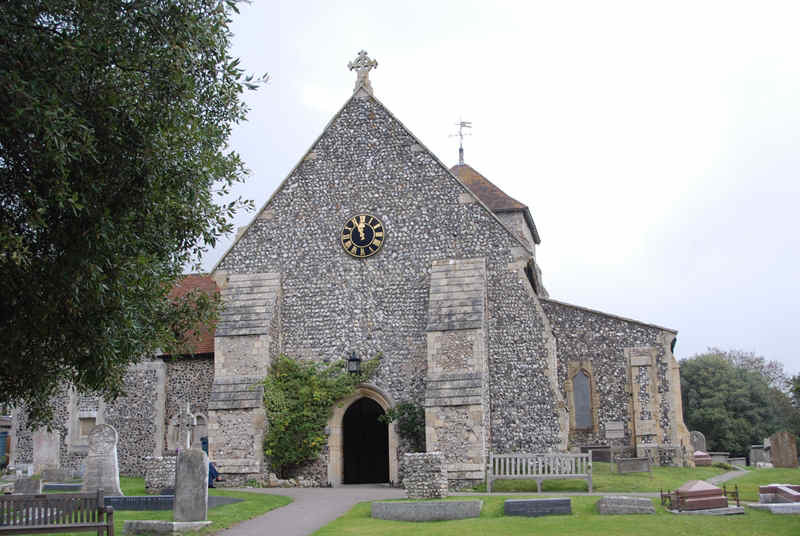 d) ST.MARGARET’S CHURCH : The oldest part of Rottingdean’s parish church is the twelfth-century nave, but it stands on the site of an earlier Saxon church. 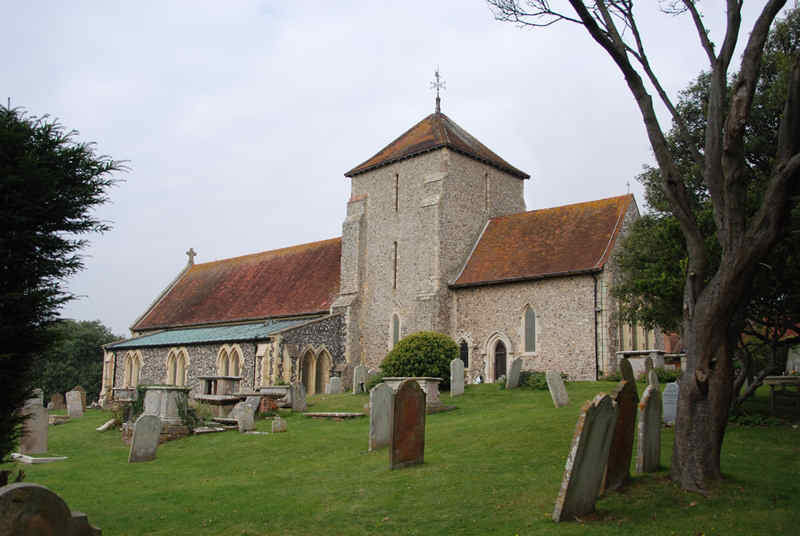 Built in the Early English style in knapped flint , the church has an early-thirteenth-century tower with a Sussex cap which stands unusually between nave and chancel; the tower was probably rebuilt at the same time as the chancel after an earlier tower had collapsed. 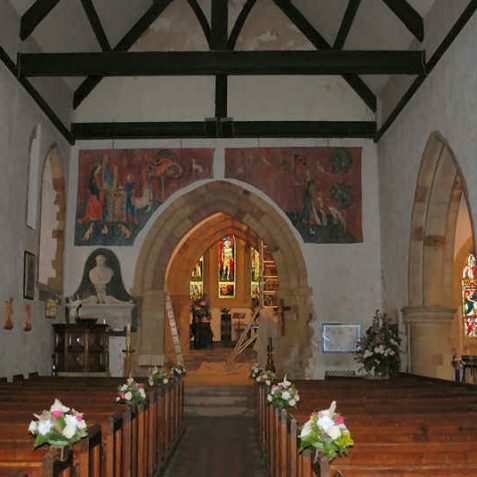 The west wall was rebuilt in the fourteenth century or later, but it appears that the church was once cruciform in shape as the foundations of a south transept were discovered in 1909. 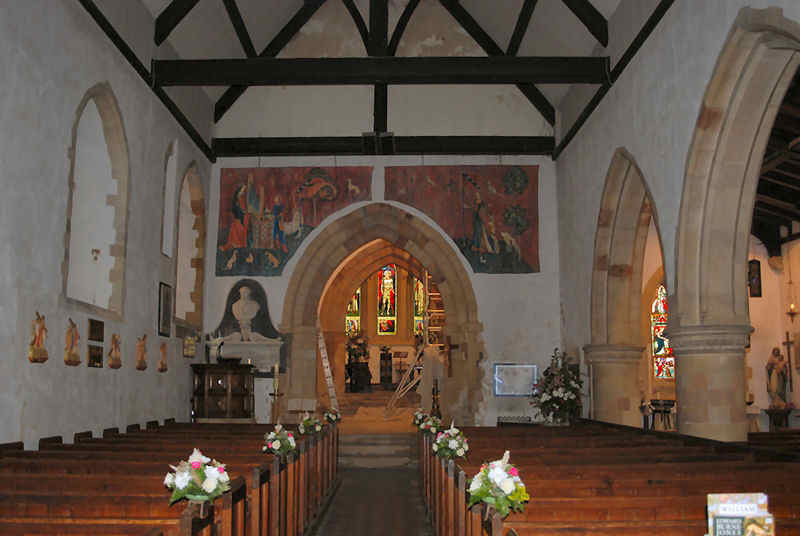 The present south aisle is an addition of 1855-6 by Sir George Gilbert Scott, but there is still a blocked doorway in the chancel wall that led to a former, seventeenth-century south aisle. 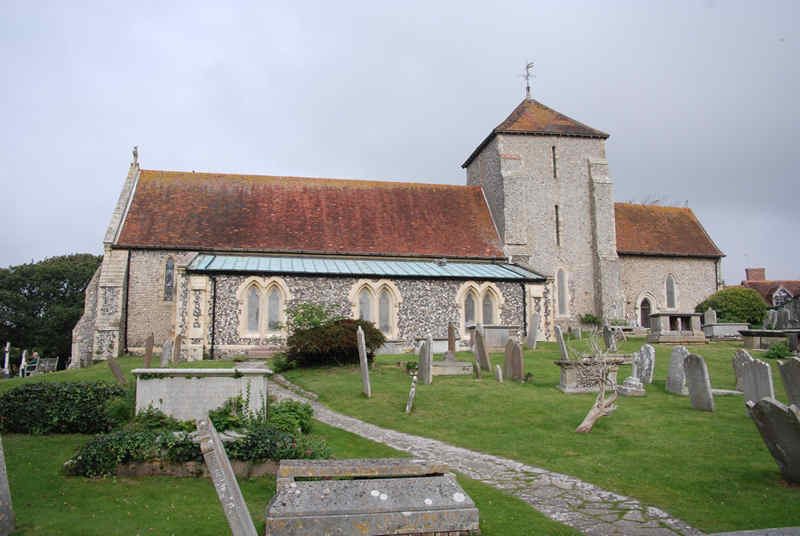 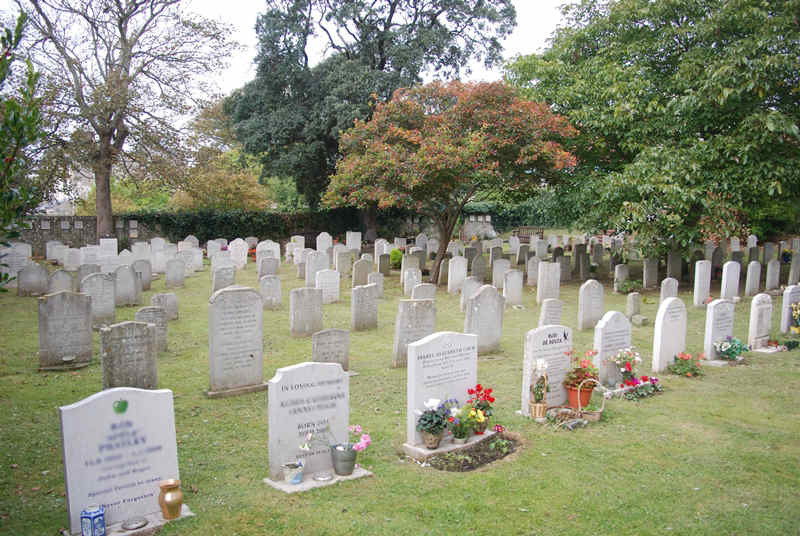 Now a listed building, the church can hold 250 worshippers. 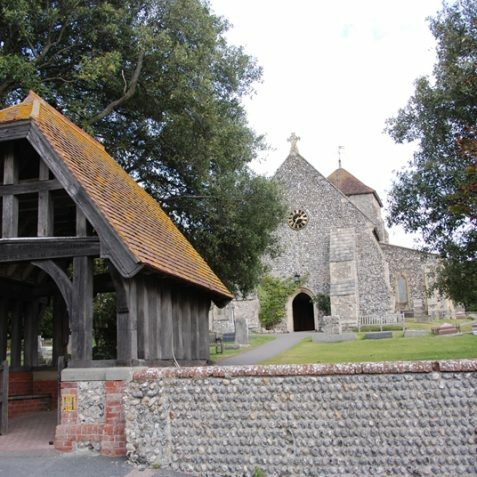 In 1377 French raiders landed at Rottingdean Gap and reputedly set fire to the church with a number of villagers trapped inside the tower; some of the pillars and the western tower arch still exhibit a red hue probably caused by the heat. 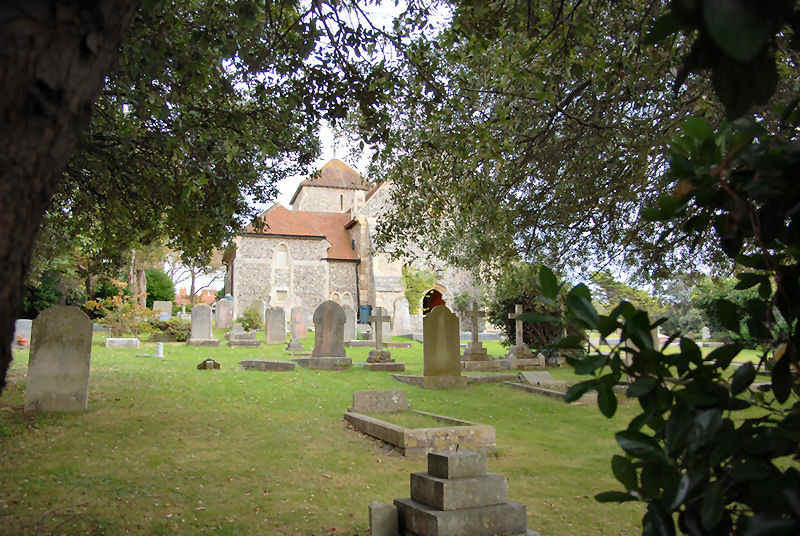 Seven of the stained-glass windows were designed by Sir Edward Burne-Jones to mark his daughter’s wedding, and Sir Edward is buried in the churchyard along with the nineteenth-century novelist William Black. 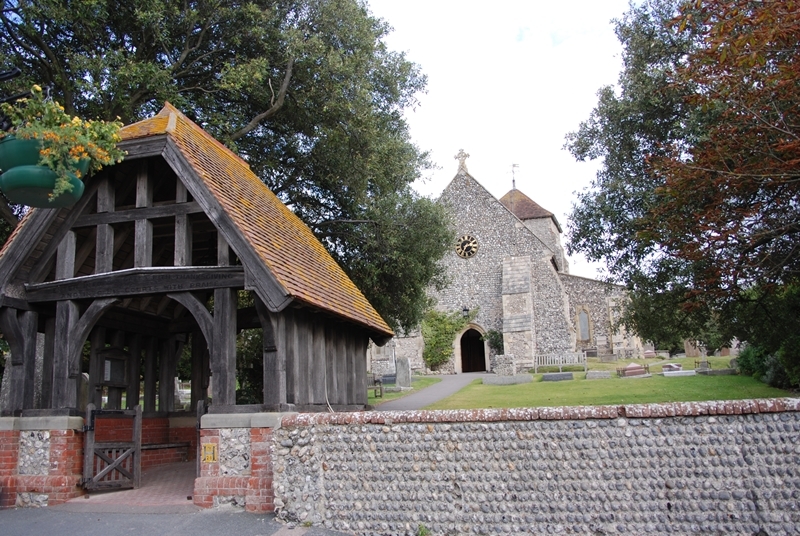 The lychgate was added in 1897 in memory of Revd Arthur Thomas, vicar for forty-seven years. 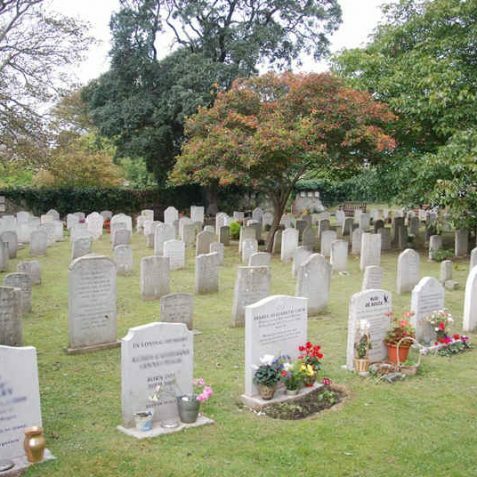 During the Second World War detailed drawings were made so that an exact replica, the Church of the Recessional, could be erected at the Forest Lawn Memorial Park in Glendale, California.